California Gov. 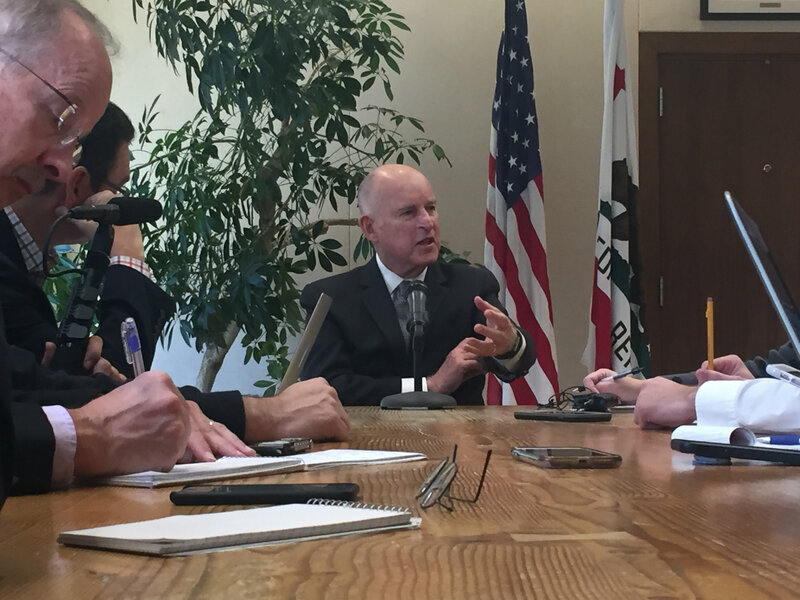 Jerry Brown speaks with reporters Nov. 7, 2018, following the Midterm Election. California Gov. Jerry Brown said the results of yesterday's election — with Democrats now controlling the House and Republicans growing their ranks in the Senate — reflect the dangerous political climate growing in the nation. Brown, who will be termed out of office in January, discussed Tuesday's results with a roomful of reporters at the Capitol on Wednesday. The governor said he was pleased that Proposition 6 — the gas tax repeal initiative — failed to get enough votes. Brown said it was an arduous effort to fight the measure which, he said, would have resulted in $5 billion a year in lost infrastructure spending. He said voting results on Prop 6 — a measure heavily supported by conservatives — was reflective of a common Democratic-Republican split in the state. The way forward for California, Brown said, is not about "resistance," but about following the state's own trajectory. He also said it's imperative that the country find a way to pull together. “Fragmentation and division is not a pathway to greatness but rather a formula for discord, acrimony, and weakening of democracy,” Brown said. The long-serving governor said he's hopeful that a new balance-of-power between Republicans and Democrats will foster civil negotiations and even compromise.